Vijay Awards 2018 Winners List – The much awaited 10th Annual Vijay Awards has happened on 5th June 2018 at Chennai. The prestigious award function honours the talents of tamil cinema. After break of two years, Vijay Awards happened in grand manner. The award honoured to movies released in 2017 under 20+ categories. Check out below for List of Vijay Awards Winners 2018. 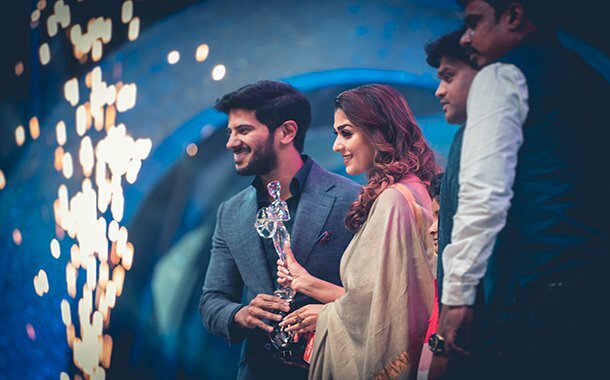 2018 Vijay Awards, the biggest award show of south india which organized by Vijay Television. The 10th Annual awards host by Gopinath, Ma ka Pa Anand and Dhivyadharshini (DD). The show held at Nehru Stadium on 5th June 2018. Top celebrities from tamil cinema including AR Rahman, Vijay Sethupathi, Nayanthara joined the grand event. Thalapathy Vijay’s ‘Mersal’ bagged all favourite awards based on public poll. Movies like Aruvi, Aramm, Vikram Vedha, Kaatru Veliyidai got recognized in the show. Here completing 10th Annual Vijay Awards 2018 Winners List. Check out below for more latest news about tamil cinema in scooptimes.com.